When faced with our current political landscape, the looming threat of climate change, and the general callousness of strangers on the internet, it’s easy to be a pessimist. That’s why, in his new essay for Time magazine, director Guillermo del Toro repeatedly refers to optimism as the “radical,” often more difficult choice. It’s a good message, and one that needs to be repeated again and again, if only to combat the ceaseless swarm of negativity polluting the cultural airwaves. Del Toro’s essay is featured in Time’s 2019 Optimists issue, which is edited by Selma filmmaker Ava DuVernay. The issue also features essays from Laverne Cox, Bill Gates, former Top Chef contestant Preeti Mistry, and luminaries from a vast array of other industries. Each uses their platform to discuss the importance of hope, optimism, and the future. Not a bad way to kick off 2019. 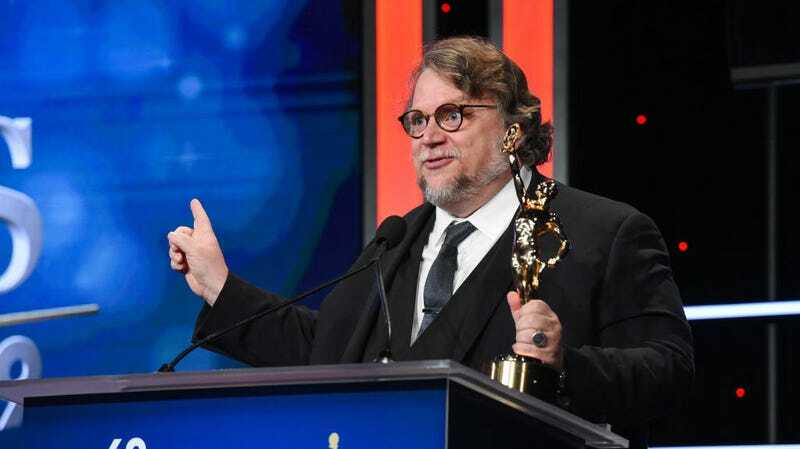 You can read Guillermo del Toro’s full essay here.